Like I said: A puppet! Certainly something to aspire to but much harder to achieve. 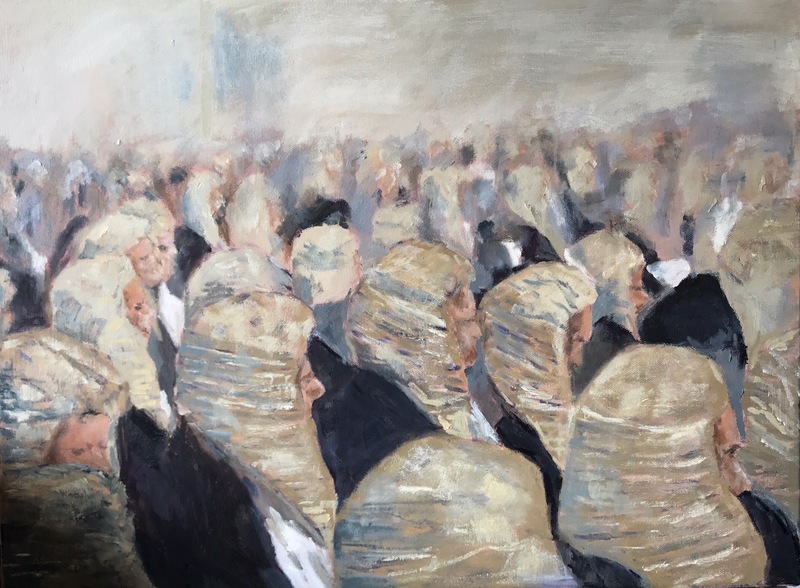 Nice message from Michael Battersby of Battersby and Co, Business Lawyers of Parnell, Auckland: “Your paintings are a big feature, they really give us all a lift! A painting Portrait of Edmond Belamy is up for auction at Christies in New York City in October. It is estimated to sell for $7,000 – $10,000. AI is predicted to take our jobs one day but now it seems It will also impinge on our leisure time – at least for those of us who paint – according to reports this will be the first computer-generated artwork presented at auction. Here is New Moon in situ in Jo and Daniel Carol’s lounge. Finished today – silly and free spirited! Finished this today. 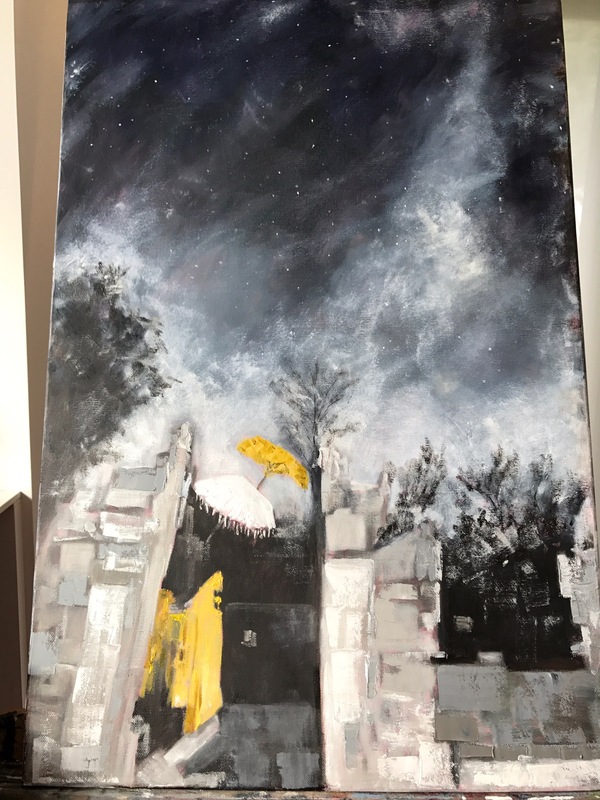 My interpretation of an amazing night-time scene in Bali – thanks Alistair Scott.